It can be such a drag to come up with new lunch ideas for school. Especially when it seems like you are making the same thing day after day. The kids get bored with them too! 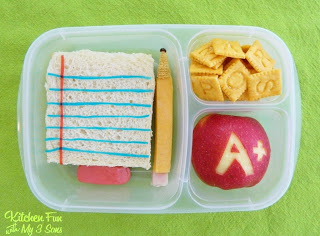 Here are 20 Creative School Lunch Ideas that will sure to be kid-pleasers – and as parents, we like them to have healthy school lunches! I will never forget volunteering in the elementary school cafeteria when my daughter was young and watching kid after kid empties their uneaten food into the garbage can. They would turn the lunch box upside down and dump the entire contents into the trash. A lot of the food was non-perishable. All I could think was their moms probably thought they ate all their lunch! Hopefully, these school lunch ideas will have the kids leaving nothing to throw away! Oh, and don’t forget to add one of these 10 Free Printable Lunchbox Notes – so cute! Also, grab these Free Printable Coloring Bookmarks…see them below. 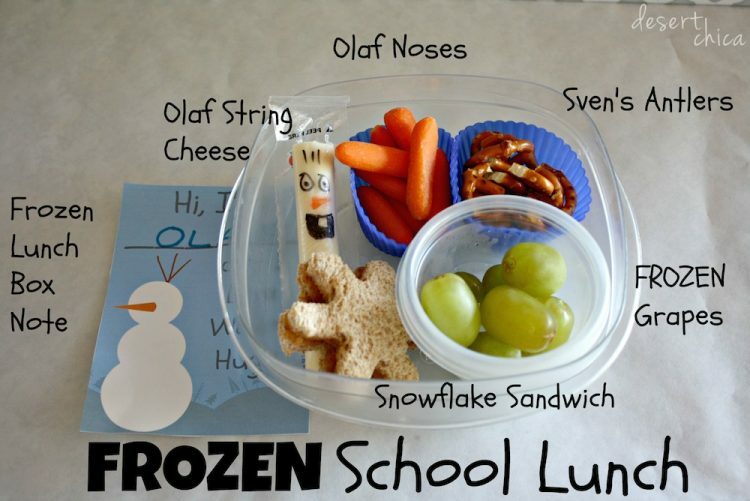 Make school or home lunches fun! Apple Shaped Sandwich | Woman of Many Roles – Give your kids a smile when they open their lunchbox with this adorable apple-shaped sandwich. Tuna Canoes | 3 Boys and a Dog – Make lunch easy and healthy with these adorable little lunch canoes. 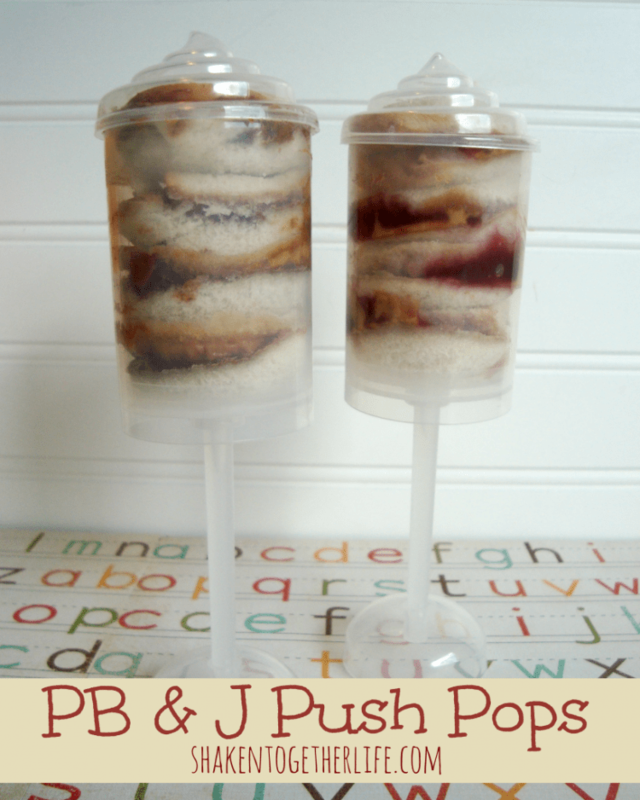 PB & J Pushup Pop Sandwiches | Shaken Together – what a creative twist on an old favorite! French Bread Pizza | 100 Directions – What kid doesn’t love pizza? Cucumber Sandwiches | Spaceships and Laser Beams – Turn an ordinary sandwich into a healthy and fun opportunity with this fun design! Fairy Bread Sandwich – Have a little fun with lunch and make these creative sandwiches! Pickle and Beef Rollups | DIY Budget Girl – Want something different than a sandwich or want to skip bread? These are the perfect option! 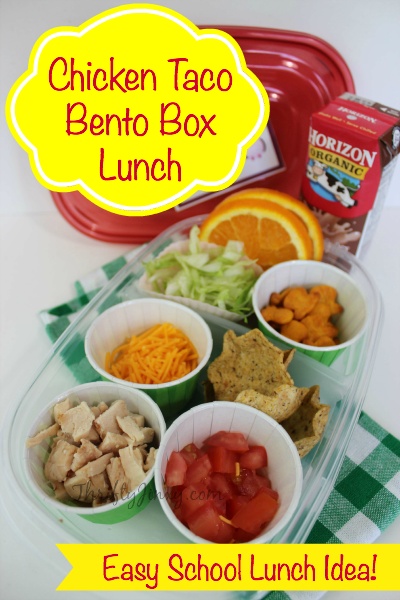 Pot of Gold Rainbow Bento Box | Hello Bee – Add a little color to your child’s day by brightening up their lunch! 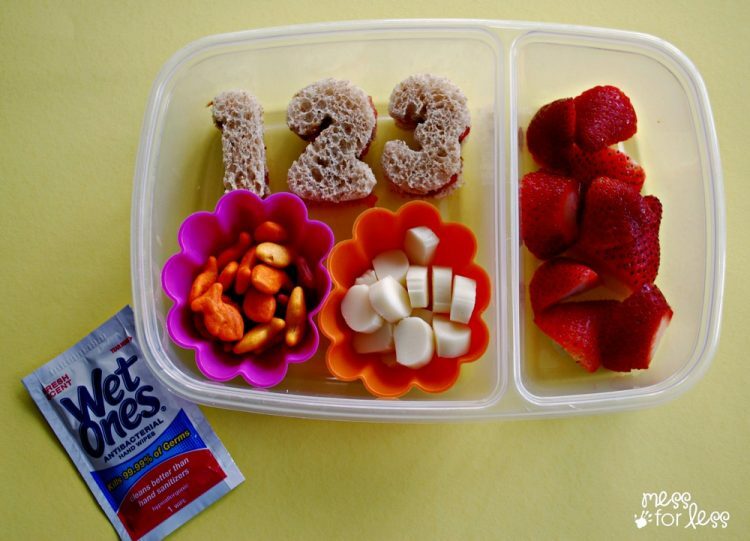 Back to School Lunch Idea | Mess for Less – Love the number cutout sandwiches! Stuffed Bagel Sandwiches | Family Fresh Meals – Give them a little bit of breakfast with their lunch! Homemade Ham and Cheese Pockets | Sally’s Baking Addiction – Go with a favorite but make it fresh instead of store bought! Meatball Sliders | Flour on My Face – Get a fancy lunch look with these easy and tasty sliders! Grilled Chicken Sandwich Wraps | The It Mom – These easy and tasty wraps are a great lunch for kids and adults making lunch easy all the way around! Taco Baked Potato | Vegetarian Mamma – Make sure your kids are nice and full by sending them with a stuffed potato! Easy Fried Rice | Teaspoon of Goodness – Mix things up and instead of a traditional sandwich, try this fried rice recipe! Chicken and Corn Dog Kabobs | The Kitchen Wife – Have a little fun and give a little variety with these adorable kabobs! Plus add one of these 10 Free Printable Lunchbox Notes in with the kid’s lunch! These Free Printable Coloring Bookmarks are super cute for the kids to use throughout the school year! Life is busy – try these Easy Pasta Recipes for Busy Families!